Vacationing in Jackson, Mississippi, is always a treat! This city in the South offers so many different options for an unforgettable experience, from hiking scenic trails to exploring historic sites. One activity you need to enjoy while you’re here is visiting one of the many Mississippi museums. The Mississippi Museum of Natural Science is one of the finest establishments you can explore here. Filled with a wide variety of natural wonders, this is a great place to spend time in Jackson, MS. Take a look at what there is to do in this fascinating museum and make plans to stop by today! The Mississippi Museum of Natural Science is found at 2148 Riverside Drive in Jackson, MS. The museum is open Monday through Friday 8:00 a.m. to 5:00 p.m., Saturday 9:00 a.m. to 5:00 p.m., and Sunday 1:00 p.m. to 5:00 p.m. Explore Exhibits: You’ll learn so much by browsing the many fascinating exhibits here. Featuring subjects like native Mississippi animals, extinct and endangered Mississippi species, conservation, and much more, you’ll love delving into the qualities that make this area so wonderful. You’ll also get to see aquariums to learn more about aquatic life here! This museum has both permanent and temporary exhibits, so there’s always something new to see here. Walk the Nature Trails: Make sure to bring along your camera! The Mississippi Museum of Natural Science provides a network of nature trails for you to explore to see some of this area’s finest scenery. You’ll see gorgeous woods, swamps, rivers, and more along these guided routes. Browse the Gift Shop: Commemorate your trip to Jackson, MS, with a souvenir! The Mississippi Museum of Natural Science has a great gift shop containing all kinds of unique items. Attend Fun Events: Learn more about nature and science in an entertaining, hands-on environment! The Mississippi Museum of Natural Science hosts a wide variety of events, including festivals, workshops, new exhibit openings, and much more. Take a look at their calendar of events so you don’t miss what they have in store! Here are some other favorite Mississippi Museums you should visit! Now that you’ve taken a peek at all there is to do in Jackson, MS, start making plans to visit this destination today! The first step is to find the most comfortable and luxurious accommodations in town. Fairview Inn is the perfect place for you to stay during your trip; our bed and breakfast in Jackson, Mississippi, offers deluxe rooms and suites, delectable dining, private lounge, library, game room, and even a spa. Choose from exploring the many nearby attractions of downtown or simply reveling in the comforts of our lovely inn and its relaxing, peaceful environment. You’re bound to love what we have to offer in our haven of Mississippi, so don’t hesitate another moment; check our availability and book your stay today! 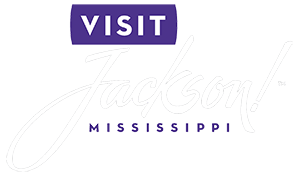 To learn more about the many things to do in Jackson, MS, like exploring the Mississippi Museum of Natural Science, download our free Vacation Guide!